The September Sun has been good for our pumpkin crop and Andrew has reported a bumper crop this year. Our Newbarn Queens have all been harvested and the potato harvester will be put back in the shed for another year. With the days getting shorter and colder, Chef Virginija has brought back some old favourites to such as Lamb Goulash and Fish Pie banish the Winter chills. She has also introduced some delicious new dishes like the Newbarn Fish Gumbo and The Green Pig sandwich to tingle your tastebuds. As ever, complementing our menu will be our locally brewed craft beers and carefully selected wine list. Why not try our McIvor’s Plum and Ginger Cider with The Green Pig Sandwich. Hopefully the sun will continue to shine. Not only does the good weather mean that our visitors are able to enjoy the Donkey Shed’s patio areas, it also means the Farm Shop is full to the brim of new season home grown and locally sourced fruit and vegetables. 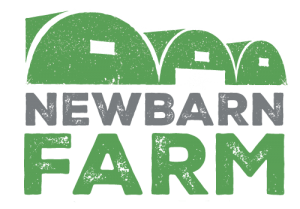 Strawberries and rasberries are at their very best this time of year and Newbarn Farm Shop offers you the freshest of the local crop. Our home grown vegetables are growing well and throughout the Summer, Andrew, Michael, Gytas and Darragh will be busy harvesting broccoli, peas, broadbeans, potatoes, carrots and much more.